The technological scene in India as well as the expectations of the end-users in the region has changed drastically in the past decade. India in fact has emerged as a leader in the web technology and software development industries. The past five years have seen this trend incline more towards mobile app development. The core reason behind this could be the rapid surge in mobile phone users and smart phone users in the country. It is well known that marketing is all about reaching out to prospective customers in the regions they reside the most or the platforms they use the most. Did you know that India is set to have 530 million smart phone users by the end of 2018? With increasing mobile Smartphone adoption and users downloading and utilizing more apps than ever before, the Indian market presents is an open treasure for several sectors of companies. Isn’t it then sensible for businesses in India to invest on the development of mobile apps and immediately convert their marketing attempts into sales? Yet, there are to mobile and android apps than is widely believed. Trends are changing every year and competition is getting fiercer than before. To get ahead of this competition, businesses need to contact a mobile app development company in India to suggest solutions that match with the latest trends. • Customized Mobile Applications: It is highly recommended that every business should possess a customized mobile application of its own. This mobile can be of a unique concept developed by a particular business, a specific product or service that it offers, or simply a mobile representation of the entire business. The central government’s recent push for digitalization of all transactions has increased the demand of customized enterprise mobile apps multifold. • Internet of Things (IoT): IoT is revolutionizing businesses processes significantly. Modern Indian users require technology to give them daily life solutions and not remain pieces of luxury. IoT devices such as smart apps are gaining popularity. Smart apps give a user control over almost any electronic or lock-system in his her house. Business need to harvest returns from this trend. For example, an electronics company can develop smart-apps to give its consumers more control over the devices. • Cybersecurity: Business property needs to be kept safe; both in real life and in cyberspace. There are increasing number of reports of hackers and malicious elements attacking digital properties of businesses across India. The data of consumers, access to products and services and stealing of confidential information are some of the dangers arising from the lack of Cybersecurity. Businesses need to develop mobile threat defense solutions devices that are used for corporate purposes. • Mobile Apps with Chatbots: Chatbots are simple messenger apps that greet visitors to a website or allow members of a web portal to chat between themselves. Now chatbots have made their mark in mobile apps as well. Chatbots as mobile app are simple routes for businesses to directly interact with their consumers. If developed, these chatbots can be uploaded to common mediums such as Google Play Store or even published on a company’s website to be downloaded by consumers. The latest products released or information of services provided by a business can be shared by a business with its customers through these chatbot apps. • Mobile Payment Integration: It has been already been ascertained that mobile phones are in the hands of every modern Indian consumer. Hence, every customer will find it more convenient to pay for a business’ goods or services right from a mobile device. Moreover, internet shopping is currently transacted more from mobile devices. This is the platform that most internet consumers prefer for purchases. Businesses should explore this trend to make their processes more swift and easy. • Cloud-Based Technology: Cloud technology presents a number of benefits such as – streamlining the operations, reduction in equipment and hosting cost, enhanced storage capability, and increased productivity. 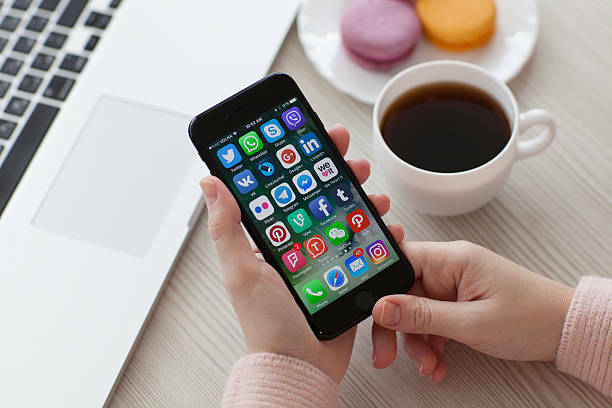 Mobile apps and their data can be developed on cloud so that their use will not be limited to specific devices such as in the case of native apps. Majestic People Infotech continuously updates its approach with the latest trends. Does your business have any requirement to develop mobile apps? Or do you want to know which app will be suitable for your business and what will exactly be its benefits? Contact us and we will be glad to discuss with you.